I want to start this story with an apology, due to the office move for Los Gigantes.com we have been completely run off our feet, and this great news for our area has been delayed. So I hope it’s better late than never. Recently the staff of losgigantes.com had the chance to meet with the councilor for tourism Germán Jiménez who explained to us the latest plans for the area. It is important to understand that two years of single handed dedication on the part of Germán have resulted in our area, (Santago del Teide) being accepted to a very prestigious group of three other councils, Puerto de la Cruz, Arona and Adeje, who are entitled to special funding for tourism, many other areas would love to have this help. 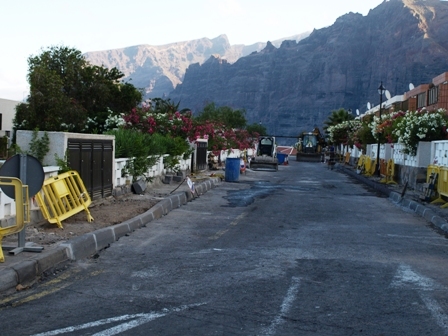 It means that during the next 4 years (at present) funding to the tune of 6.6 million Euros has been approved for a number of projects to raise the standard in this area, some of which has already started such as the new pavements, pedestrian crossings, water pipes, drainage, cables, curbs etc in a number of streets in Los Gigantes. Plans approved include a complete re-paving of the roads for el Marques Las Rosas all around the loop to the hotel Barcelo de Santiago including new sewers, pavements road surface and the planting of over 125 new trees. Other plans include a complete overhaul of Playa de la Arena, which is truly spectacular. 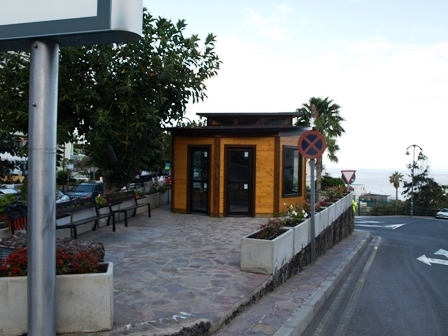 The new Los Gigantes tourist office, opening soon, has just been built on the small plaza by Tamara, as part of the on-going commitment to tourism in the area, other projects worthy of a mention include a complete revamp of the plaza in Los Gigantes and the one in Puerto de Santiago, re-surfacing of a number of roads throughout the area, new street lighting in the area. The level of investment that this new status will bring to this area over the next few years I believe will truly help to transform the area to one of the most sort after destinations in Tenerife.